Melbourne philanthropist Dr Jeanne Pratt AC has donated $1 million to Monash University’s Centre for Theatre and Performance, to help budding stars prepare for a career on the stage. The donation, which was announced at a graduation ceremony on Thursday where Dr Pratt was awarded an Honorary Doctor of Laws degree, establishes the Jeanne Pratt Musical Theatre Artists in Residence Program. The program will enable drama and music students to work with, and learn from, leading specialists from across all areas of musical theatre and gain a greater understanding of what makes a musical experience so special for an audience. Dr Pratt, the chairperson and founder of The Production Company, a Not for Profit theatrical company which performs Broadway musicals, said she was delighted to support the development of the university’s musical theatre students. “I’m extremely pleased the program will give these students an opportunity to fully develop their skills and prepare for a career in the musical theatre industry,” Dr Pratt said. 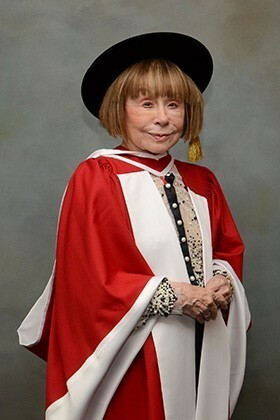 In a speech accepting her honorary degree she it was a wonderful honour and she was very grateful to the university where her late husband, Richard Pratt, also received an Honorary Doctorate in Engineering, her daughter Fiona received her Bachelor of Laws degree and her son Anthony graduated in Economics. “Monash University is very much part of our family history,” she said. 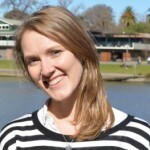 “And… the Pratt Family Foundation is very much part of Monash. I can only say it’s been a privilege to be involved philanthropically with the life of the university – and it’s been fun. “I’m passionate about the future of an Australian Musical Theatre. So I approached Monash with an idea about how we can help to make it happen. Working with The Pratt Foundation and The Production Company, I’m very pleased to say that Monash responded with vision. “Together, the Monash Academy of Performing Arts, the Monash Centre for Theatre and Performance, and the Sir Zelman Cowen School of Music, will aim to make history. Here in Melbourne, not just on Broadway. “Together we hope that Monash will build a generation of graduates who’ll be the creative artists who’ll write, compose, direct, choreograph, design and produce our own original Australian musicals. “And you’ll be able to see those musicals first in the refurbished Alexander Theatre. The Pratt family is one of Monash University’s most generous benefactors and following this latest gift of $1 million the Pratt Foundation has now donated over $9 million to the university across a variety of faculties and departments. This program, in partnership with Dr Pratt, The Production Company and The Pratt Foundation, hopes to build on the university’s track record in performing arts and will focus on training students in creating uniquely Australian musical theatre. Through the program, artists in residence will mentor students in their craft and foster increased collaboration within the industry. In association with the Sir Zelman Cowen School of Music, the Monash University Academy of Performing Arts (MAPA) and the Centre for Theatre and Performance, the program will also include an annual professionally produced musical theatre production. University Vice-Chancellor Professor Margaret Gardner AO thanked Dr Pratt for her generous patronage of the performing arts at Monash. “I look forward to the program becoming a cornerstone of the student experience at Monash and an important influence on the future of musical theatre in Australia,” Gardner said.